Unbeatable value on an invaluable tool. 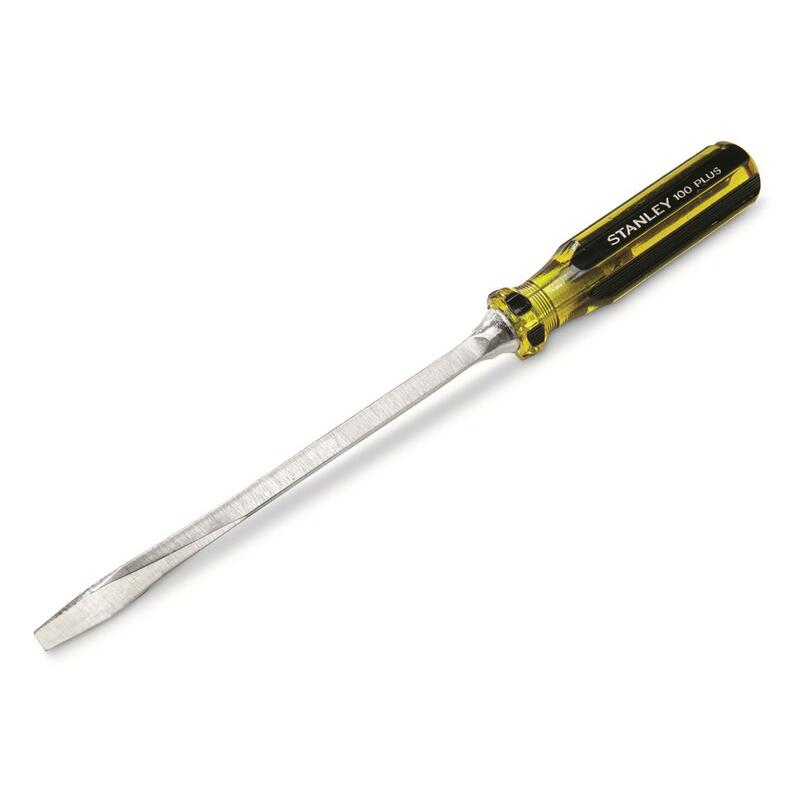 You can't beat the U.S. Military, and when it comes to hardware, you can't beat Stanley.® This 3/8" Slotted Screwdriver is proof, and it's ready to serve. It's a XL flat-headed Screwdriver that's 13"l. overall and features Stanley®'s famous black-and-yellow plastic handle.